2018 Record: 35-27. RPI: 32. Coach (Record at school): Tim Corbin (681-342-1, 16 seasons). Ballpark: Hawkins Field (3,700). Postseason History: 17 regionals (active streak: 13), 3 CWS trips (last in 2015), 1 national title (2014). 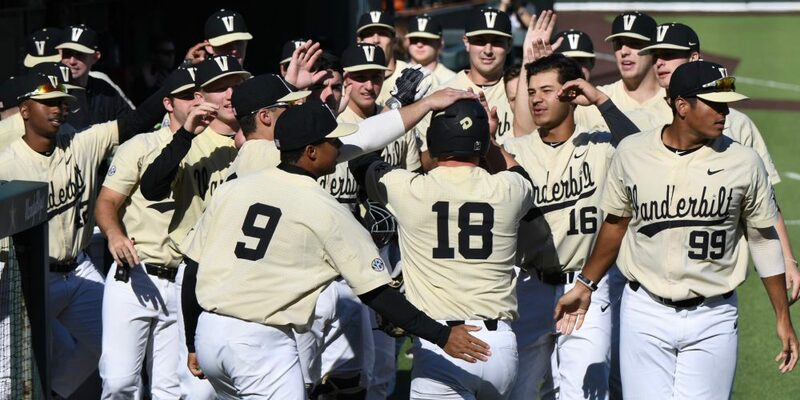 More: Fall Report on Vanderbilt Schedule, Stats, Team News: Follow the Commodores all season long at our Vanderbilt Team Page.